If you’ve decided that the only thing that’s going to bring you joy this Christmas season is a kitchen remodel, then you’re not alone. 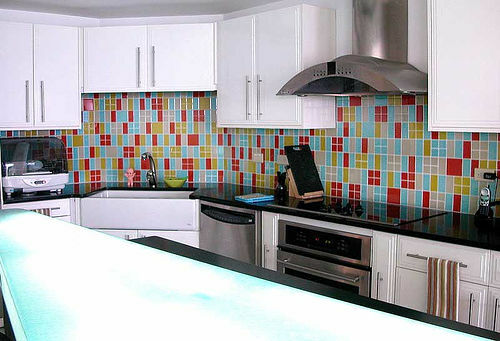 Kitchen remodels are one of the most popular, albeit most costly renovations that you can plan for in your home. While kitchen renovations often deliver 80-85 percent return on investment, actual kitchen renovation costs can differ greatly. But there are some basic costs that you’ll need to consider when planning for your brand new kitchen. The first step in any kitchen renovation is to set a budget and do your very best to stick with it, even when faced with uber-expensive yet beautiful countertops or kitchen cabinet door options. According to a recent article on the Better homes and Gardens website, a kitchen remodel can cost anywhere from $5,000 to $75,000 depending on the homeowner’s budget, tastes, and priorities. Materials usually account for about 80 percent of the budget and labor accounts for about 20 percent. And according to the National Kitchen & Bath Association, the largest expense is usually cabinetry which can account for about 30 percent, followed by labor, appliances, countertops, flooring, lighting, plumbing fixtures, doors, windows, walls, and ceilings. If budget is a top priority when it comes to your kitchen remodel, try evaluating spending cuts based on where they will have the biggest impact on the bottom line. Since cabinetry accounts for such a large portion of the budget, it makes sense to make the most practical and budget-loving decision possible when it comes to your new kitchen cabinetry. Choosing stock cabinetry instead of custom cabinets can save a great deal of money. Another way to save money when choosing cabinetry is to consider refinishing or refacing cabinets as well. By choosing a company such as Summit Cabinet Coatings, you can achieve the high-end look that you’ve been wanting without spending too much and busting your budget. Summit Cabinet Coatings specializes in creating a superior kitchen remodel out of the one kitchen that you already have by using solid opaque and accented glaze finishes over existing kitchen cabinets. If you’re satisfied with your existing cabinet layout, then by refacing cabinets that already exist you can save money and still get exactly what you want from your remodeling project. Summit Cabinet Coating’s cabinet refacing process can revitalize your kitchen cabinet doors, drawers and frames. You are even able to use your kitchen during the five business days that it requires to transform your cabinets due to the fact that it only takes 2 to 3 days to reface the frames. They are able to do the rest in their warehouse. If you’re interested in a kitchen remodel for Christmas but don’t want to pay and arm and a leg to achieve your perfect kitchen, contact Summit Cabinet Coatings today! What is your desired style of cabinets you would like in your home? Summit Cabinet Coatings is family-owned and operated, serving the areas of northern Colorado. We specialize in refinishing cabinets in a timely manner while still providing great value. Locally based, Jim and Jen Worden interact with customers directly and oversee every step of the process. Together they offer over 13 years of experience in the construction industry, seven years specializing in cosmetic repair such as refinishing cabinets in homes, and 5 years experience in customer service and retail management. Their goal is always customer satisfaction, standing behind every project. © 2014 by Summit Cabinet Coatings. All Right Reserved.